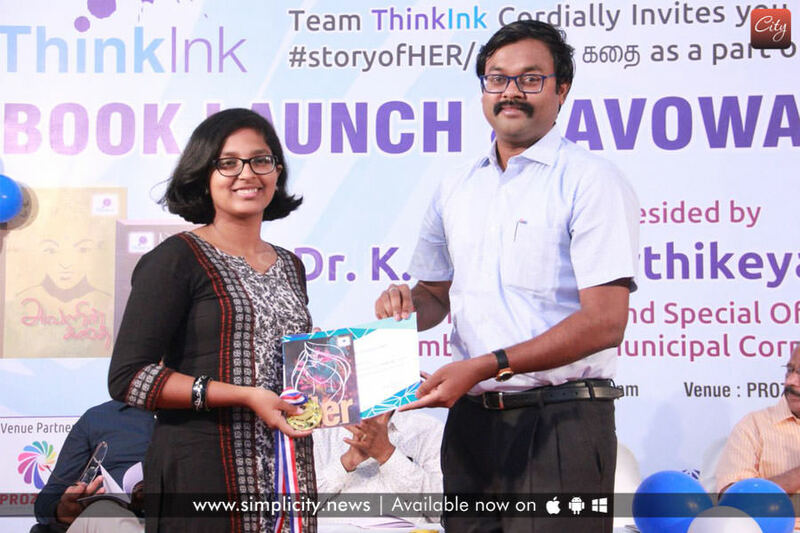 Coimbatore: ThinkInk is an initiative to create writers and bring to light, young authors. ‘The story of Her’ contest was conducted at the first move, which received around 200 plus entries in English and Tamil. The top 10 editorial picks in each language were compiled into an anthology titled 'Story of Her' in English and 'Avalin Kadhai' in Tamil. 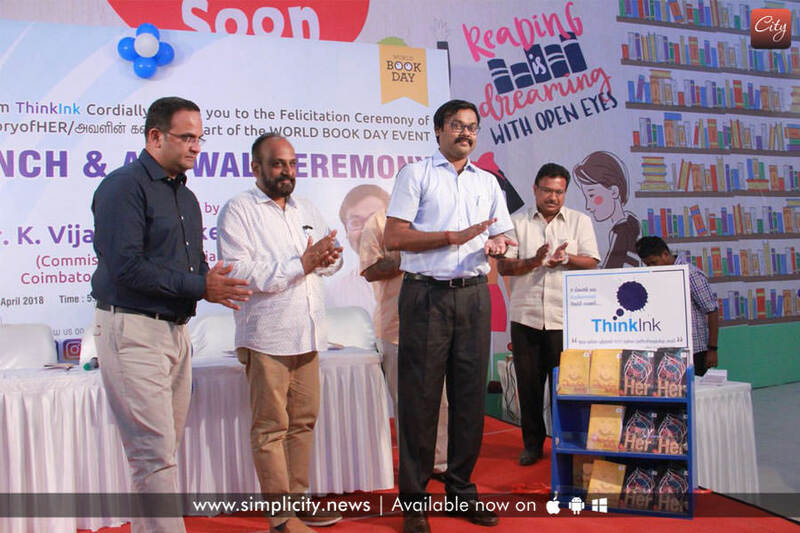 The first book of ThinkInk was launched at Prozone Mall in the presence of Dr. Vijayakarthikeyan K. IAS, City Corporation Commissioner, and Special Officer, yesterday. The authors were also felicitated in this Book launch and Avowal ceremony. The upcoming contest from ThinkInk will soon be announced to open platform for more young authors. The first 3 prizes in both English and Tamil were also awarded the cash prizes.